This Sunday’s message is indirectly addressing people pleasers. Ironically, I know I have constantly been tempted to be one. I want everyone to like me. Why? Oh, my expressed “reason” (read, “excuse”) is so that I will not dishonor the name of Jesus, but I think the deeper reason is so that I will have other’s approval and not be embarrassed and shamed. Pretty self-centered, huh? But here’s what I discovered in our main text: Jesus doesn’t seem to care about this, or the crowd’s view of Him—even when they call Him some severe, shameful names: “glutton and drunkard”! He trusted His Heavenly Father to take care of His reputation and deal with any potential shame factor…. How? Our Lord was more concerned about pleasing His Father than pleasing the people. Something I really need to capture. How about you? Below is a devotion for today found in Christians Secrets of a Holy Life by Hannah Whitall Smith. My heart has been profoundly touched by it, and I pray it touches yours, too. “Don’t be discouraged at any form of temptation which threatens you, but always look to Jesus, and ask Him to meet and overcome it by His own wisdom and power. I think I am learning more and more of what utter trust means. Having naturally some feeling of personal ability and good sense, it has always been a temptation for me to rely on these and to feel that I wouldn’t be likely to lose my balance whatever happened. But I have seen recently that even my natural abilities must be laid aside in this life of death to self, and that I must really and practically have all my resources in the Lord only. “I do not know whether I am making myself clear, but in my experience this has been very real. It has cost me something to lay aside my old dependence upon my own judgment and good sense, and to let myself be a helpless in the Lord’s hands. But it is unspeakably sweet when it is done. And I believe it is to me the opening up of a life of conscious union with my Lord such as I have never know before. I seem to have sunk into unfathomed depths of littleness and nothingness, and to have found the Lord there in a more real and actual consciousness than ever before. “Only, dear friend, ask the Lord to fulfil [sic] John 14:16, 21, 23 in you, and open up your whole being to receive His manifestations.”—To Friend, December 17, 1874. Lord Jesus Christ, all that You do pleases Your Father; please the Father in me. In Your Name, Amen. Have you ever been given a gift so precious, it was too precious? “Oh, I can’t accept this. It’s too expensive….” you barely audibly whisper overcome with a deep sense of unworthiness. “No, really I insist,” comes the giver’s overruling objection. I have and really to share Holy moments often soils them, but to give the general gist of the moment, I was in a store when the owner sense a need in my life, and offered me one of his wares—very expensive I might add. “Choose any one of these…,” he insisted. I was so overcome with a sense of emotion, I could barely move, let alone choose…. But I did. Perhaps this is how you felt when you first encountered the Lord Jesus’ grace. “I forgive you all your sins and have seated you in the heavenlies.” “What? Me? Really? No?” we stammered. But it’s true. His Grace overwhelms us. We sense the reality of our unworthiness, the injustice of this forgiveness, and the surface of the depth of this Grace of our salvation. But as time has distanced us from this moment, have we lost the sense of the Grace too precious to receive—and yet we still receive it? And with a gift this precious, do we not put it in an equally precious place, guarding it with our very lives? What are your thoughts? Main Text: — Acts 15:10–11 (NIV84)— 10 Now then, why do you try to test God by putting on the necks of the disciples a yoke that neither we nor our fathers have been able to bear? 11 No! 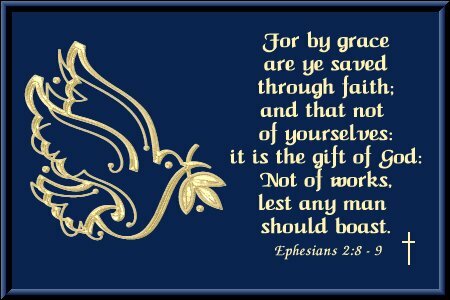 We believe it is through the grace of our Lord Jesus that we are saved, just as they are. Heavenly Father, what words can capture the glory of Your Grace. You have lavishly poured it out upon me. I embrace Your Son, my Lord Jesus. Continue to capture me with Your Love. In His Name, Amen. Please bear with me, but I have often connected the physical deformities of others to my own spiritual deformity from sin. Much of my young religious training taught me that when I sinned, my soul received a black stain. The more I sinned the darker my soul got. Well, from one perspective, my soul must have been pretty black! (and that was my favorite color for some time). Even as a young Christian, I connected the deformities of other to the darkness and deformity of my soul. How could God Love me! I did so much evil…. At first, His Love began to leak into my life. Then the cracks of the shell of my deformed soul widened and His Love seeped in. The flood comes once in a while, in a quiet moment when I realize that He does truly Love me—in my ugliness and deformity (which I know is being transformed into the likeness of His Son, but even this blows my mind)…. What more can be said? What are your thoughts? Heavenly Father, what a sense of Holy awe I get every time I realize that You do Love me and have chosen me to be Your son! No words can capture the overwhelming praise and gratitude that swells up in my soul. Baruch Ha Shem Y’shua. A friend of mine used to say that many people are an inch deep and a mile wide. They had no depth or integrity. But believers in Jesus can be a mile deep and an inch wide—if we choose to be someone of integrity…. One person defined integrity as you are the same person whether anyone is watching or not. Another definition is the inside and the outside are the same. How would you define integrity? Would Joseph, from Cyprus, fit your definition of integrity? Apparently he was so well respected by the early church that they nicknamed him, Barnabas, Son of Encouragement. I find it fascinating that he was identified in our main text, and, at that, in direct opposition to Ananias and Sapphira (from our last blog)—and he is named first…. Is it possible that Luke is suggesting to us that there are two types of people in the church from which we can choose to surround ourselves? Either the Children of Encouragement or the Children of Lies? I’d like to be chosen by Team Encouragement & Integrity. How about you? Do you feel we have a choice in this matter, and if so, what ramifications does this choice have? Your thoughts? Heavenly Father, as I follow in the footsteps of Your Son, the Lord Jesus Christ and as I surround myself with my brothers and sisters who are on this same journey with Jesus, keep me in step with the Spirit in Jesus’ Name, Amen. Why is Christian community so important, and why did our Master really stress it during the Last Supper? In short, we’re all we got—so Love one another. He makes this very, very clear in John 15:18-20 that, “…If you were of the world, the world would love its own; but because you are not of the world, but I chose you out of the world, because of this the world hates you. …”(v. 19). The world is going to hate us at some point on our journey with Jesus, and one method will be by luring us with its pleasures and treasures. Jesus warns us of this in Luke, “The seed that fell among thorns stands for those who hear, but as they go on their way they are choked by life’s worries, riches and pleasures, and they do not mature” (8:14). Yes, one of the ways the world will hate us is by offering us our heart’s desires! This will be a counterfeit, to be sure, but a really good one at that…. In these pleasures and treasures we may find a false sense of self-reliance and self-security—even fellowship.And yet our fellowship with the saints slowly fades away as we get more and more involved in the pleasures of this world. And, according to Jesus, this, too, is hate…. The gathered body of believers in humble community is the only place where we can be told the truth in Love (Eph. 4:15), air our dirty laundry and be forgiven (James 5:16), and know our backs are covered and not stabbed (Romans 12:9-18). Or is it? What are your thoughts on this? Are the other places believers can go to have these, and many more, blessings? Or is the church community truly the only place we ought to–or even can–have this? Heavenly Father, open my eyes to the profound nature of the community Your Son paid the ultimate price for. By Your Mercy & Grace and in Jesus’ Name, Amen. The Big Idea: Lists confirm status and standing. These lists, however, are very important, especially when they appear in the Bible. Not only do they present a sense of belonging and connectedness, they also confirm status and standing. Much like a waiting list or membership list, these lists establish where our standing is with the larger group (e.g. 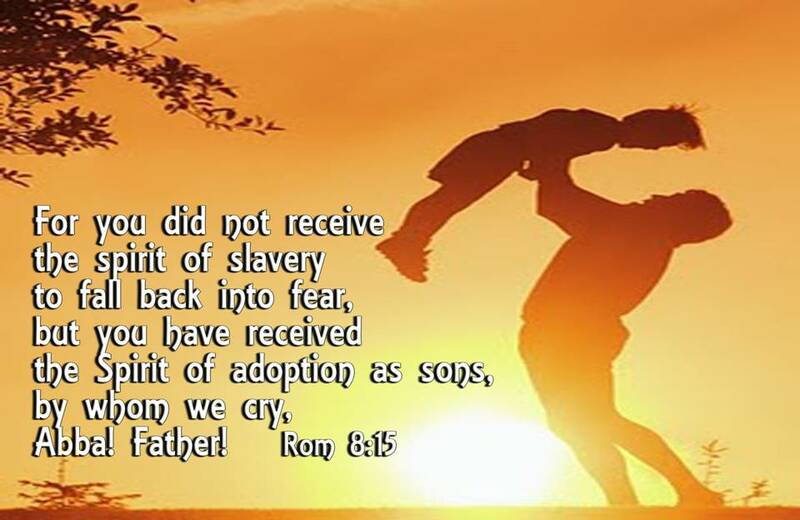 this family signed up before yours), and who has valid status, as demonstrated later in Chapter 7 of Nehemiah with several families who were not on the list, as it were (see vv. 61-65). Lifestyle worshiper, do you balk at lists and sign-up sheets and clipboards? I understand. But don’t you think this passage is telling us that membership really does have its privileges? What are your thoughts?